Click here to Check out the Day 2 Video Blog! Click here to Check out the Day 1 Video Blog! 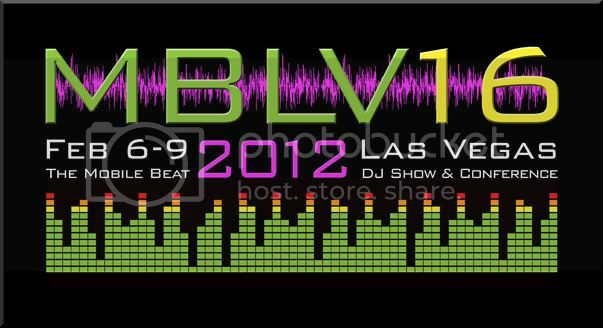 BKR Productions is in Las Vegas for the Mobile Beat DJ Convention! Lili & I have been taking in all of the seminars and doing a lot of networking! So far it has been a great show! Looking forward to getting back to the Bay Area at the end of the week! All Trivia and Karaoke shows will resume next week! See you there! Here is the FREE DOWNLOAD link for the DJ BKR MIX-TAPE 14! Almost 3 hours of music for your enjoyment! It was recorded LIVE at Sloane SF in December of 2011! This link is only good for a limited amount of time and number of downloads so get downloading! Enjoy! Here is the FREE DOWNLOAD link for the DJ BKR MIX-TAPE 13 (The Lost Mix Tape)! Almost 160 minutes of music for your enjoyment! It was recorded LIVE at Sloane SF on one drunken night in December of 2010! 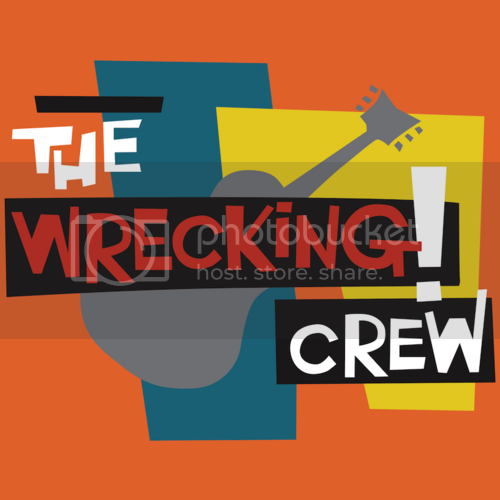 This link is only good for a limited amount of time and number of downloads so get downloading! Enjoy! Here you go! This is the link to the FREE DOWNLOAD of the DJ BKR MIX-TAPE 12! 80 minutes of music goodness recorded LIVE at the Costonoa Resort back in September 2011! This link is only good for a limited amount of time and number of downloads so get downloading! Enjoy! 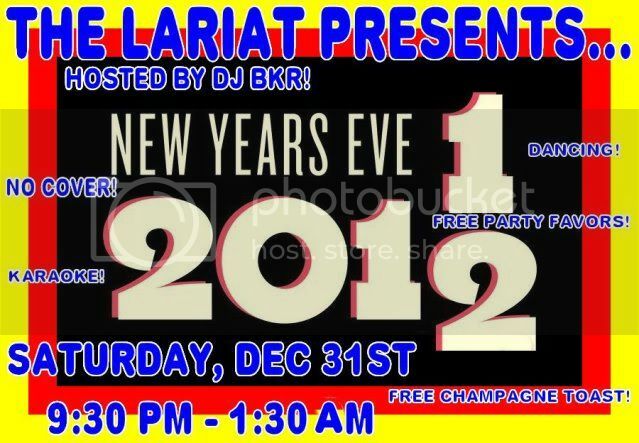 LARIAT NYE 2011-2012 PARTY! THIS SAT NIGHT! I have known Cris professionally for a few years now. When I met him, he was doing regular DJ gigs at local bars and lounges. He has since expanded to include trivia shows and karaoke to his arsenal. Cris is fun, professional, and knows the job very well. His music selection is fantastic, and if he doesn’t have what you want, he is happy to get it for you (for DJ parties or even karaoke songs!). I knew I was planning to come to his show, so I contacted him on his Facebook page to see if he had a specific song… He didn’t, so he went and bought it and added it to his selection! You can’t BUY that kind of customer accommodation! His equipment is great. He even uses a bubble machine from time to time that fills the dance floor with little floating bubbles that look awesome with his multi-colored light effects. I have also heard from friends that he does an incredible job at weddings and corporate events. I wouldn’t doubt it, he is very good at what he does. I would recommend BKR Productions for anyone looking for an Emcee or DJ for their event. Cris is awesome! I met him from when he used to do regular DJing at Moons in San Mateo on Sat. Nights. He has a great personality, very fun and good selection of music. My husband and I had already signed a contract with a different DJ for our wedding, but had we known Cris a few months prior, we would have definitely used him. I recommend him to all of my friends who are looking for a DJ for their wedding or special event and some of them have used him and been very happy, they even have reviews on here! He now does Trivia and Karaoke as well, which is awesome and we visit his karaoke show regularly at the Lariat in Belmont. We love Cris! As a present to all of you, I will be releasing FREE downloads of my latest 3 Mix-Tapes next week as an after Christmas present! Just in time for you to use at your house parties if you aren’t coming to my party at The Lariat Tavern in Belmont! I hope everyone has a wonderful and safe holiday season! !